Network Asia - Philippine distributor of magazines, books, journals, etc. 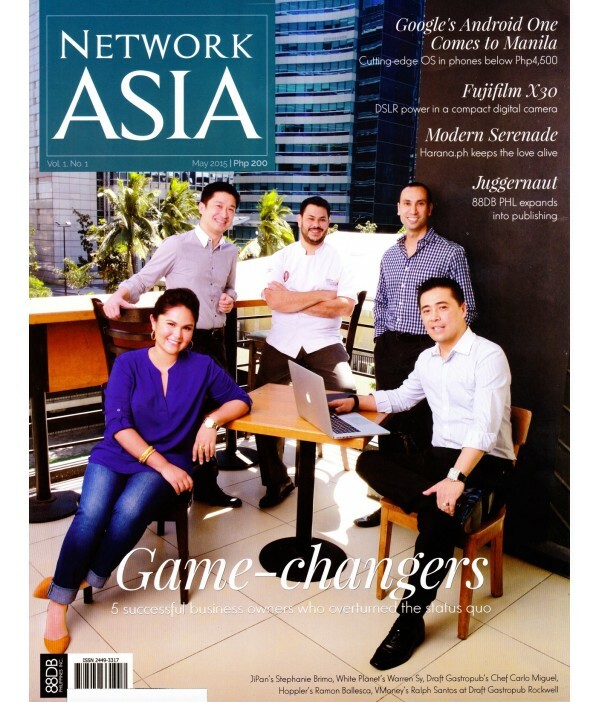 Network Asia is the country’s latest and most dynamic magazine on creating, sustaining, and celebrating success through networking anywhere in Asia. It is the premier resource that propels both creative entrepreneurship and the sophisticated lifestyle, leveraging on the growing potential of the Asian economy. Network Asia is both a BUSINESS and LIFESTYLE magazine. It will show the readers how they can succeed as entrepreneurs and professionals – and, at the same time, provide them lifestyle choices that will help them celebrate that success. Network Asia goes beyond our immediate shores to a greater region: Asia. To further show the readers from the Philippines and neighbouring countries the cultural and economic similarities that forge us together, the differences that make us complement one another, and the common ground where we can create a better world.